Online Carbide has an easy to use website that allows you to place your order quickly and efficiently. We provide same-day shipping for most items, so you can be assured that your order will be safely and promptly delivered. Are you looking for reasonable prices on quality end mill bits? Are you exhausted by the cost and hassle of ordering from a distributor? What if you just need to make an order for a part and get right back to work? Maybe you’re not sure where to get the best price on a variable flute end mill. Maybe we can help with that. Online Carbide’s mission is to provide you with the tools your shop needs, with no hassle and at cost-effective prices. 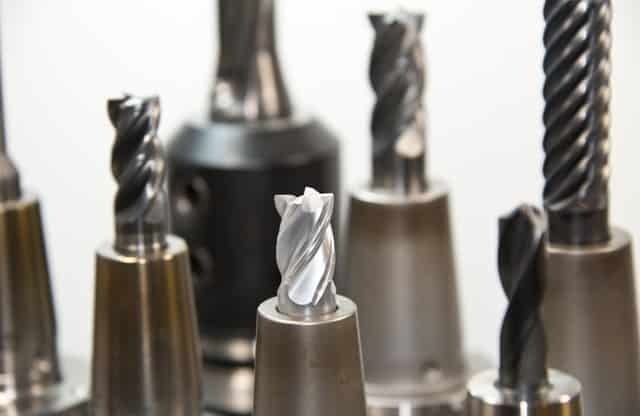 At Online Carbide, we provide our customers with the best value on carbide cutting tools such as single pitch thread mills, full form thread mills, drills mills, and Variable Flute End Mills. Simply put, our thread mills are second to none, with a superior quality and price than our competitors. And our product range is expanding daily. Want to get a little more familiar with some of our products? Take, for example, our variable flute end mills. These mills cut stainless steel and other tough alloys at higher than average rates. The variable flute helix and indexing reduces vibration, which means increased speeds and feeds. That means you’ll see better and faster results than usual. These tools are also TiAlN (Titanium aluminum nitride) coated, allowing you to run them dry during high speed machining, so you can worry less about maintenance and more about the task at hand. I can’t emphasize enough that Online Carbide is not just some reseller or distributor. Distributors will upcharge the consumer, and while many manufacturers do sell their products online, their prices are kept high to protect their distribution network. Online Carbide wants to cut out the middleman and sell directly to you. Our competitors may be selling the same type of tools, but they do not manufacture them; they are re-sellers. When you’re working with Online Carbide, you know that you’re dealing with the real thing. We manufacture our own items, and we stand by their quality. Now, let’s talk about the quality of these tools for a second. When it comes to working with milling machines, the quality of your mill bits is essential. All Online Carbide products are made in the United States using premium 10 percent cobalt micrograin material in CNC grinders. Other distributors and manufacturers will charge you more for use of a brand name, but why pay more? We use the same raw materials and grind on the same equipment as established leaders, and we can promise that our tools are the same quality or better than name brand tools. The best part? We sell them to you at prices usually offered only for distribution! That’s a deal that’s worth bragging about. If you’re wondering “Hey, I’m interested, but how’s your ordering process?” We’ve all dealt with annoying online order systems, but with Online Carbide that’s simply not the case. Online Carbide has an easy to use website that allows you to place your order quickly and efficiently. We provide same-day shipping for most items, so you can be assured that your order will be safely and promptly delivered. Online Carbide accepts PayPal, Visa, MasterCard, American Express, and Discover for orders, so your order can be completed with the click of a mouse. And if you have any questions or concerns about a product or order, we’re always happy to hear from customers to ensure your satisfaction. With Online Carbide, you can be confident that you made the right choice in your mill tool supply purchase. So make sure to check out onlinecarbide.com for more information on our line of products, and to place your order today!